Best known for being the Queen of Britain’s very favorite animals, Corgis were originally herding dogs. Compared to some other breeds, they can be very easy to get along with and fairly easy to train. And with ancestors who herded livestock, they’re actually known for being pretty sharp! Have you got yourself a gorgeous little Corgi? Perhaps a Pembroke Welsh, or maybe a Cardigan Welsh? 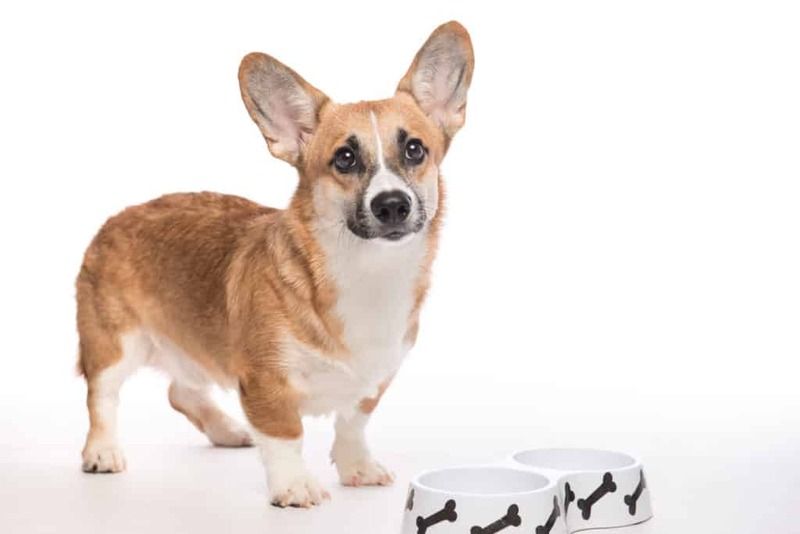 The good news is that both breeds have got fairly similar dietary requirements, and in this article, we’ll look at what’s the best food is for your pure-bred Corgi. What’s Special About The Best Dog Food For Corgis? How much protein do Corgis need? Do they need much fat? Wet Corgi Dog Food, or Dry? What health problems do Corgis sometimes have? Does my Corgi need calcium supplements? You may not have Her Majesty’s resources at your disposal, but that doesn’t mean you can’t feed your Corgi puppy the healthiest and most appropriate food possible. In some instances, small-breed dog food may not be nutritionally ‘right’ for your pooch and may provide them with a few too many calories for their needs. On the other hand, they haven’t got the long bones or highly susceptible joints of a larger dog, either. That’s why the best food for your Corgi puppy will be designed for small to medium dogs. If you opt for a small breed food due to the size of your fluffy friend, make sure that the packaging and feeding guidelines indicate that it isn’t just for really small pooches. Giving your Corgi too many calories at any stage in life can contribute to his becoming overweight. As a start, aim to find a food that will provide your adult, moderately active Corgi with between 750 and 800 k/Cal daily. Your Corgi puppy, depending on his life stage, is in need of considerably more. Check out our dog food calculator to figure out a rough estimate for his daily calorie needs between zero and four months and once he gets a little older. Or better still — ask your vet for advice, as he or she will be able to observe your puppy’s unique characteristics! The best dog food for Corgis will be a chow that’s suitable for small- to mid-size breed dogs. Individual pooches will vary in their full-grown size depending on their genetics and other unique characteristics; however, both Cardigan and Pembroke Welsh Corgis tend to be considered mid-size pets. Despite their cute little legs, they have robust torsos and require a medium amount of exercise to keep up their muscle tones. What does it mean? It means that the best dog food for Corgis will contain good-quality meat for protein. For puppies, especially, this should give them all the essential amino acids to grow and, well, flourish! Aim for a figure of close to 30% protein inpuppy food the best food for Corgi puppy, and lower this to around 22-25% for Corgi adults. As a mid-sized breed, a Corgi’s requirements for fat will fall somewhere between those of a small dog (fairly high) and a larger dog (medium-low). They will need nowhere near as many fat calories as a toy Chihuahua or tiny Shih Tzu, and too much fat is never a good thing. Try to give your Corgi puppy food with about 20-21% fat, then make sure that his food as an adult contains slightly less. It is perfectly alright to switch up canned food and kibble for most Corgis, just like with other breeds. What you may want to consider when making this decision depends on both you and your individual pet’s requirements. Of course, your budget is one factor — and kibble is generally a more affordable option for ‘everyday’ feeding. Is your Corgi a bit older, or very, very young? At both of these extremes of a dog’s life, they may take better to wet, canned Corgi food. 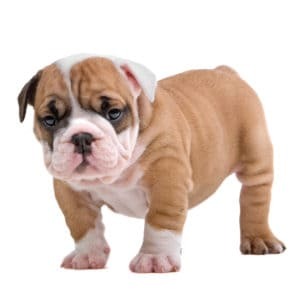 When pups are not yet used to solid food, and also when their mature teeth are less strong, you might want to choose a pâté or loaf-style food that they can easily chow down. They may also appreciate the stronger (for them, more delicious!) smell that wet dog food offers, as well as the extra moisture. At the end of the day, it is up to you. But bear in mind, your Corgi puppy or dog will probably want to let you know what his preferences are — they’re great like that! What makes his little tail wag most? Our goal is always to save you time, and to that end, we’ve included a list of our favorite brands that make Corgi food. What criteria have we used? We’ve chosen only manufacturers that create AAFCO-approved food for Corgis, and they had to be industry names with sterling reputations for safety and quality. Here are the best brands making Corgi food, so you can take your pick! Up until he reaches his full size at around 12 months old, your Corgi is going to need to be fed several times a day. While this may start with fairly frequent meals, this may gradually be decreased to about 2-3 meals daily. You’ll find more on this here at our blog! 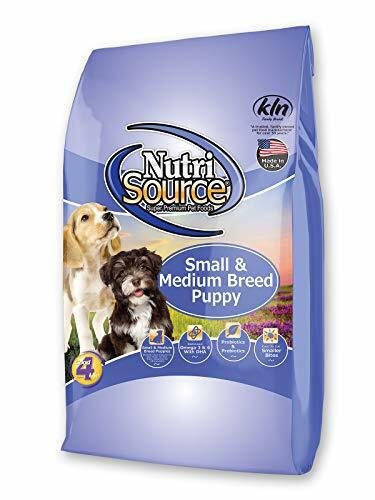 This blend from NutriSource is specially formulated to give your Corgi puppy the recommended amount of both energy-rich fat and muscle-building protein. At the same time, NutriSource uses ingredients that are readily taken in by your dog’s system for maximum benefit. Offers your Corgi puppy a healthy dose of glucosamine to protect his joints. Features some processed white rice. Brown rice will help your little pup digest his food, while fish oil offers him good amounts of Omega acids. These help your little one’s skin and encourage a glossy, lovely coat. Acana uses what they call ‘WholePrey’ ratios, which feature quality animal organs and meat—all naturally preserved. Calcium in this formula comes not from supplements, but from genuine bones that are prepared appropriately. There is lots of glucosamine to keep little one’s joints in great shape! As a very premium food with super-quality ingredients, this is a slightly pricier Corgi dog food than most. In the pet food industry, we don’t need to look far to find poor quality products with filler ingredients. This is definitely not one of them, as all the ingredients have been included for your dog’s health. 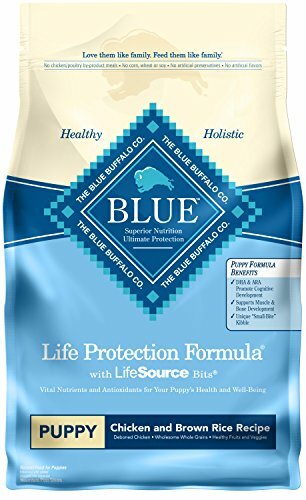 Also available in a delectable-sounding lamb and oatmeal recipe, this Life Protection formula contains special ‘bits’ that are cold-formed to retain the mineral and vitamin goodness within. Zero non-natural flavorings or preservatives. Includes some potato, so not okay for intolerant pooches. Other than that, five gold stars from us for this Blue Buffalo recipe. We always find really delicious, wholesome dinner options available from Blue Buffalo. 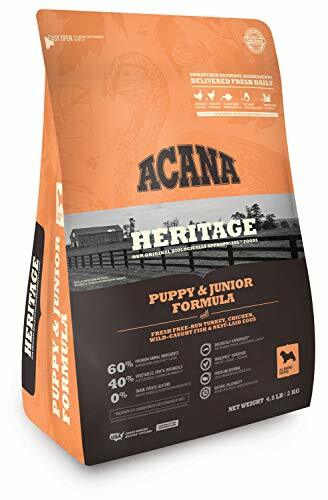 With its lovely combination of proteins and 1.2% calcium, this is some of the best dog food for Corgis, too, helping them grow up strong and happy! Most Corgis will be at their full mass and size when they are about one year old. Some will continue growing slightly beyond this point, but it’s usually when they are ready to switch over to a grown-up food. 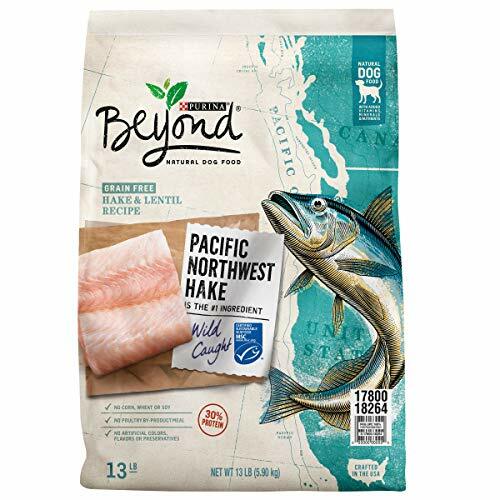 Here is a brand new flavor from Purina Beyond’s excellent range. No maize, soy, or wheat ingredients are to be found in this adult Corgi dog food, but you will find a nice 30% protein — great for active dogs! Protein comes from not only fish and lentils but from peas and egg too. A varied range is a lovely thing for most dogs! 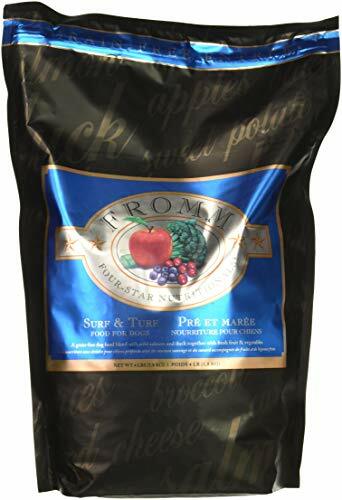 Only natural preserving agents, colors, and flavors are used. This is another high-quality food and doesn’t come cheap. Worth it, though, we think! No synthetic preservatives or potentially unhealthy by-products are used to make this seem more appealing — it’s healthy, nommy, and natural! Corgis who need to be chicken-free will love this novel venison recipe. Along with sweet potato, which is a rich source of natural fiber and vitamins, you’ll find everything your gorgeous herder needs to maintain a healthy weight. Provides 20% protein in each cup. What’s not to love about venison? As a high-quality lean protein that won’t trigger any chicken intolerances, this gives your adult pooch everything he needs to thrive. Contains no grains, either, making it a great option for gluten-free dogs. What a novel idea for your doggy’s dinner! This Surf and Turf Corgi dog food has both land and sea ingredients for maximum variety. You’ll find herring, salmon, duck, egg, and lentils all in one bag for a lip-licking meal. Salmon’s the top meat protein ingredient, and you’ll also find some duck in here, too! Uses probiotics to help your Corgi break it all down smoothly. Again, because it uses only high-grade ingredients, this is a premium priced dog food. We reckon this is some of the best dog food for Corgis thanks to its optimally balanced calcium content. All the minerals for great health are also to be found — including iron, copper, zinc, and manganese. Woof, woof! As with many other dog breeds, Corgis are not immune from developing joint difficulties such as the all-too-common canine hip dysplasia. Due to their longer builds and spines, they may sometimes develop a condition called invertebral disc disease (IVDD). Symptoms include back pain or weakness, and it is caused by swollen spinal discs or herniation that will make certain movements very unpleasant for your Corgi. This is a serious condition if left untreated, and it’s critical to take your dog straight to a vet if you suspect he is in pain or developing IVDD. In terms of his food, you try to ensure that your puppy is not eating too many calories — canine obesity can be a contributing factor to IVDD. The best dog food for Corgis isn’t just the tastiest, or the most protein-rich. Manufacturers that make AAFCO-approved kibbles and canned food must also adhere to industry guidelines around what ‘a healthy amount of calcium’ means for our dogs. 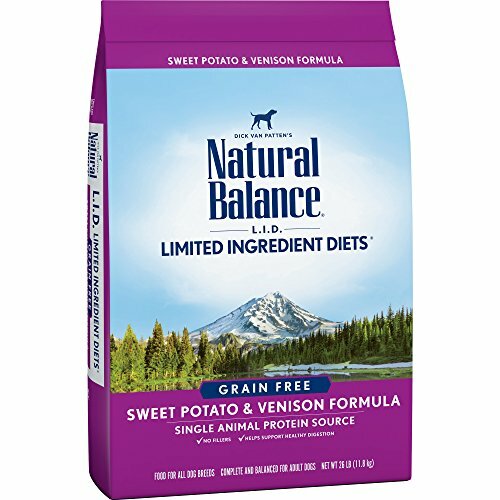 This also needs to be carefully balanced against phosphorus — in short, your Corgi food will already be appropriately balanced. You will not usually need to give your dog extra calcium in the form of supplements. If you suspect, however, that your puppy or grown Corgi may not be getting enough of this joint- and bone-healthy nutrient, please don’t hesitate to visit his vet. This is the best way to get advice that is specific to your particular best friend. More calcium is not always better, as it can sometimes lead to excessive development, especially in pups.